Enjoy the spectacular views of the Pacific Ocean in this premium home. Relax on the deck and watch the waves roll in while the sun sinks slowly beneath the sea. The oversized picture windows let you enjoy storm watching at its best from the comfort of a cozy chair. In calmer weather, open the windows to let the soothing ocean sounds lull you to sleep. The well equipped kitchen overlooks the living and dining areas and is perfectly suited for multiple chefs. Following a quick dip in the ocean or long walk on the beach, retreat to a warm soak in the large jetted tub. This unit is a wonderful vacation spot for romantic getaways. My husband and I loved condo 623! All the utensils you'd ever need to prepare meals! These condo's are always so clean! The furniture is very comfortable. BEAUTIFUL view of the ocean. 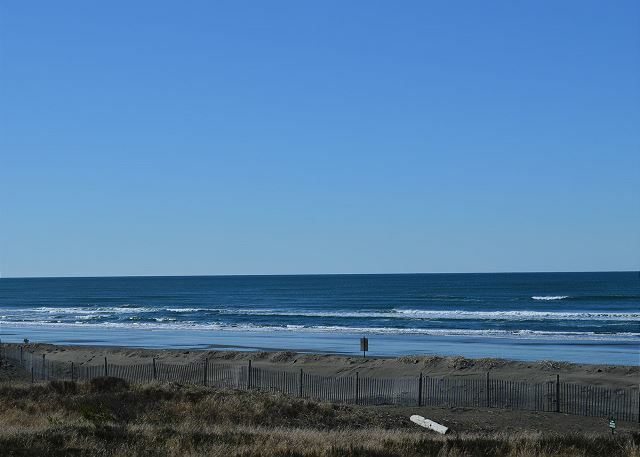 The pounding of the surf washes away the stress of city living and driving! The staff are always very accommodating. Very excited for our next stay! We had a great time in your condo. Rooms were clean and the view was amazing. Hope to visit again! It was great! I hope we did everything right. The weather wasn't very good, but any day at the beach is a great day. We have stayed at Vacations By the Sea several times in the past. We always love to come down an unwind.This was our first stay in 623. It was clean and still had a great view, nice deck. The furniture in the main living space wasn't very comfortable. No close to hang clothes just a little hat type of a rack. It was good enough for one or two days. Thank you. We stayed for our mini moon over the 4th of July after getting married June 30th. The property and condo were lovely and the view of the beach was gorgeous. The wifi is pretty spotty and the lack of usb jack or aux input on the stereo to play our music broke our millennial hearts. However the staff were very responsive and helped us get the child lock off the TV so we could play the music channels. The kitchen was well stocked and we loved the hot tub and pool. Overall a wonderful trip. Always great to be at the beach, but throw in a couple of sunny days and a perfect condo, and it just doesn't get any better. Vacations by the Sea offered a "home run" in this condo, and we enjoyed touching all the bases. We'll be back. Overall great stay. And great views. Need to install blackout curtains in the bedroom because the outside lights are on all night. Much needed get away that didn’t disappoint! It was wonderful. The weather was stormy, the waves were powerful and we were cozy and warm enjoying the awesome view outside the living room. Fully relaxed and didn’t want to leave!! We have stayed in different units in this property multiple times, usually on our way back from somewhere else. This is where we often spend our "bonus day" or two after a longer vacation. 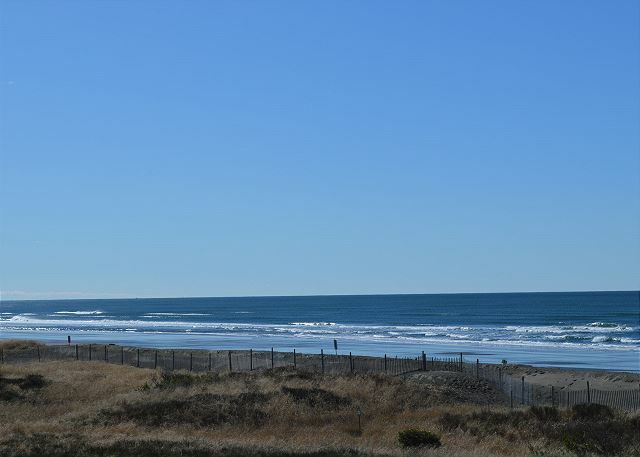 The units are always clean and well-appointed with great views and easy access to the beach. While we love the quirkiness of some beach properties, what we enjoy about Vacations by the Sea is that we can walk into any unit knowing that we can relax right away. They're always nice. Only thing we don't care for are bedroom windows that open up onto the passageways in some units. In this unit the owners lock the closets for their own use, which might be frustrating for people staying longer who want to put their clothes/other stuff away out of sight. Lots of families stay here too, but we've never had an issue w/ noise even when there on a weekend during the summer while enjoying the salt air from the deck. There are a few rules to follow to keep the place pleasant for everyone (re: noise, not hanging stuff from balconies, etc) and it's a little spendy, but for us it's worth what we pay. Great place to stay in Westport! Easy to book. Unit has everything that we needed. Very quiet. Fantastic view! Overall an outstanding stay and I would highly recommend. The only downside (and it's not significant at all) is that the only closet in my condo was locked. I was in town for a wedding and had several items of clothing that needed to be hung up, but there really wasnt a place to do that. There was a coat stand, so I ended up using that instead, but it would have be great to have the closet so that luggage & clothes could have been placed out of the way. My wife and I were VERY pleased with the accommodations, the unit was clean and cozy, everything we needed was provided. We definitely will be back! from the comfy furniture to the well supplied kitchen, this clean and well maintained condo is the best one i've ever rented. Everything about it shows that the owners really care about providing a nice vacation experience. This is oceanfront with a picture window and deck for constant enjoyment of the beauty of the ocean. I will return here. We just had an AMAZING 4 days in this beautifully decorated condo full of kitchen and other amenities, thoughtful comforts and the sights and sounds of the ocean from the deck and kitchen/living room! If we had visited in the winter, we would have been more disappointed that the fireplace does not function. A heads up about the fireplace would have been appreciated, because the pictures lead you to believe there is one! The view from the large picture window was obscured by either salt water spray on the outside, or trapped moisture? I hope this can be fixed, because we plan to return! The only other suggestion would be a little W D-40 to the recliner mechanism? It is SO squeaky! I startled my wife awake from her much needed nap on the couch when I got up out of the recliner! God bless the owner for providing such a lovely and peaceful getaway! We LOVED it!!! I had planned a weekend with rain in mind so I made sure that my accommodation would be nice and inviting. I was surprised how beautiful the condo was. It was decorated wonderfully and it exceeded my expectations. The topper was it was sunny and beautiful all weekend with no rain. The rentals decorations made me feel like I was in a cottage not the middle of a condo complex which was a nice change. The only downside would be that all of the closets were locked so there was no were to hang up my clothes. Otherwise everything seemed to work and was well kept. Great view, clean well appointed condo. We really enjoy this place. The owners take great care of it. A beautiful two days with exceptional weather. Some of the best sunny days we have ever seen down here.A nice condo with a great view. We enjoyed ourselves. Wish we could have stayed a little longer. This condo is beautifully decorated and very cozy. The property was clean and well-maintained. The view is incredible! I hope to rent this room again. Very nice unit .Well maintained, nicely equipped kitchen and bedroom and laundry.. Disappointed in non working electric fireplace, no TV in the bedroom and the worst squeaking chair in living room. Non of which dampened our enjoying the stay. Loved the cozy robes. Wonderfull - comfortable, relaxing & quiet. What a great place, felt at home. The wife and I have stayed here a few times now and had a great time. The rooms are clean and quit and have a great view of the ocean. We have always had a great time staying here and the staff are great to get you started with your stay. This is a wonderful, well equipped unit with a beautiful view. Our stay was very relaxing and the condo was very nice. Just what we needed to unwind and will return. This was a relaxing and wonderful stay. ...but where is the closet??? We love going to Westport and staying in the Vacations by the Sea rental condos and have done so may times...but...I really enjoy hanging my close in a closet when I get there, even if just for a day or two. A lightweight little rack with a few fancy padded hanger in the bedroom corner doesn't quite do it for me. This is just enough for one person, not the four that we had one of the nights. The coat rack by the front door is just that, a place to hang coats by the front door. Other than this issue it was near perfect. We started our marriage journey with a 2-night stay at Vacations by the Sea. If our marriage continues to be how our experience here was, we are going to have a long and beautiful marriage! A huge mahalo to Brook Priest and her staff for making sure our stay was a memorable one. We look forward to spending future anniversaries in Westport! Had a plan for a Seaside getaway for 2, although I ended up going by was fantastic! I guess a little down time by yourself is good for the soul. Just a beautiful weekend with the sunny weather and Oyster Fest! Very quite and love the sound of the waves crashing. Everything in the condo is very comfortable and makes you feel so relaxed. Thank you for a WONDERFUL stay. This our third stay in this little condo and we couldn't be happier. We enjoyed our stay at Vacations by the Sea despite the wild weather this past weekend. (Record rain.) This condo is very nice with a great view. Loved the restaurant up the street. Could have used directions to the market in the area. 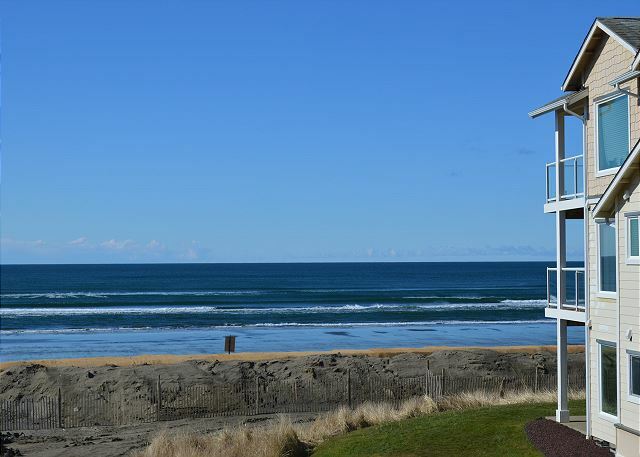 This unit has an incredible view of a quiet beach. It is a perfect place to walk for hours. We discovered this condo complex several years ago, and stay when we can afford to. West Port is a bit of a sleepy town, but we find the beach more condusive to family activites than other beach towns on the Washington coast. We'd stay more often, it's just hard to justify a morgage payment to only stay a few days. This place made our stay very enjoyable. I would recommend it anybody. Very pleased. Suggest darker bedroom curtains. Thanks for spending your vacation with us, we are so happy you enjoy it here! We hope to see you again soon! Due to the poor economy, we were unable to vacation as a whole family for the past 7 years. So I had to take my 3 boys camping by myself in the rain. This year Dad was able to come with us. It was priceless watching him play in the ocean. We all enjoyed this time together. We will never forget it, and we hope to return again and again. Thank you for spending your vacatino with us. We are so very happy that you were able to find your bliss at our beach. We feel the same way! Was a great location and a beautiful place to stay. Will definitely recommend and come back again! Thanks for your kind comments. We are happy to hear that you enjoyed your stay and look forward to seeing you again soon! Thank you Vacation by the Sea for such serene,peaceful atmosphere in which to rest and relax..everything was just right we wanted for nothing while here.This is the best place to stay in Westport. Had a lovely time. Very kid friendly. Not too much to do in town but the resort was fantastic. excellent place to stay with a beautiful view .also very quiet.. have already recommended to a thanks to the owners for sharing their lovely place. Thanks for staying with us at Vacations by the Sea nd we always appreciate our guests sharing us with their friends and family. See you next time! This was a beautiful condo, exactly as described. Surprisingly clean! Will definitely return and recommend to others. We arrived very late on our first night, and were thrilled to find the condo everything we hoped it to be. We had a bit of difficulty findng it, and had to call the after hours number to get the actual street address, as it wasn't listed on any of our confirmation paperwork. The condo was well equipped, we found eveything we needed to feel like we were at home. A few small suggestions, an extra few garbage can liners would have been great, and I would recommend changing the shower head. We experienced both sunny weather and rainy/stormey weather, all great! Unit 623 had a gorgeous ocean view, and was steps away from the beach. We opened the deck door, and listening to the sound of the ocean waves was fantastic! We spent an afternoon down by the docks, had lunch at Half Moon Bay... (not recommended!) We also went to the winery for the wine tasting, and had a fabulously delicious lunch there. I wish we had found that little gem earlier in the trip, definitely worth the ten mile treck! I've always gone to the Ocean Lodge in Cannon Beach in the past, I MUCH prefer Westport! It's closer, and having all the amenities of home in a condo, makes it a better fit. Ocean Lodge was beautiful, but still a hotel, and a much further drive. I will definitely come back to Westport, and would recommend this unit to future guests. We had a great time, eating at the One-Eyed Crab & Half Moon Bay. The warm dungeness crab cocktaill is excellent at the One-Eyed Crab, would not suggest the sea food chowder thogh. The condo it's self was great, we had a 2nd floor view as I brought my 20 to 60 power spoting scope which brought every thing into view. This is my second time staying in this beautiful condo. We also stay in a two bedroom condo when we bring our grandchildren. What a beautiful place to enjoy the ocean, and just have peace and quiet. 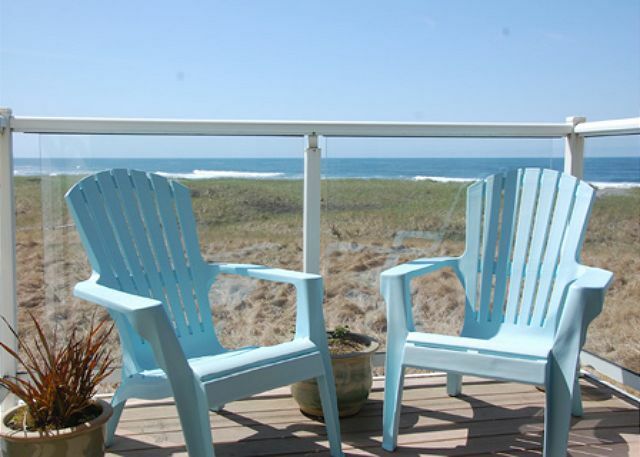 There is no place like Vacations By the Sea to sit on your deck and just watch the ocean and relax. We love the beautiful condos we stay in and will be back again and again. We love having you, thanks for the kind words! We were totally impressed with appsolutely everything!! The kitchen was stocked better then my own. I would recommend this to anyone. Happy Birthday and thanks for staying with Vacations by the Sea! We're so happy that you enjoyed your Birthday with us and look forward to seeing you at the beach again soon! Shower and bed were great. couch and leather chair was not the most comfortable. For a younger couple, it maybe would have been fine. The chair was hard to get out of, as it was too low. The kitchen was great. over-all the stay was very enjoyable. Thank you for staying with us and we're glad you had a great stay. We have stayed here numerous times and will be back for sure! We really LOVED the condo. The view and location was beautiful. The only thing that we did not enjoy was the bedroom, the bed was uncomfortable and the porch lights where so bright and lite the room up even though the blinds and curtains where drawn. Other than that the room was great and we would love to come and stay again. We're glad to hear you loved the condo and will be coming again. 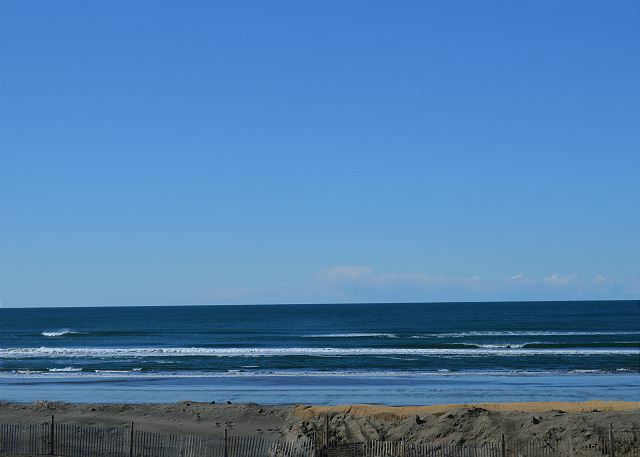 This condo does have a wonderful view of the Pacific Ocean and is the perfect size for a couple looking to get away. which can be disturbing. It can be turned off but one has to do this several times a night. 3. Overall a very nice place for two people with a great view! Beautifully decorated, fabulous view. . . . just what this family needed! Condo was well appointed and not missing a thing. Nicest Condo we have ever rented for a Vacation by far. WE will be back! Thank yoiu for staying with Vacations by the Sea. We hope to see you again soon! I always enjoy the stay at Vacations by the Sea. You should offer some loyalty incentives or bonus rewards to those that stay there year after year. Like 10 nights, get one free, etc. By the way, I like talking to someone at check-in/check-out just to make sure all is settled. Don't know if I like the new system. Thanks for the WiFi! The condo was very nice and good location. Pool and playground were a hit with my granddaughter. But the walls of the condo were very thin and the normal noise of the neighbors above and hext door sometimes interferred with our sleep or resting times. Our own family could have done a better job of working with you, so you could know how many were going to be in our group. We had five units in unit 6 that were family, and one in #7, and then another in #10, so perhaps we would have qualified for a discount. Will let you know next year as soon as we make plans. We appreciated using the club house Satuday night for the PotLuck. Lovely home with everything we needed for a long weekend stay. Beautiful views, close to beach access. Would definitely recommend this condo and plan to stay here again. We really enjoyed our short little stay. The condo was great. The decor was very "beachy" which just made it seem that much more relaxing. Quiet place, facing the beach. It was just what we needed. Thanks for staying with us, we're very happy you had a great time. We look forward to seeing you again soon. Mini vacation by the sea! Very enjoyable stay - cold outside - cozy inside ! Totally awsome place to stay! The view was great, late at night you can see the wind blow over the grass just like the waves on the ocean. The place was very well kept. We have found a place for us to slow down and escape too. Thank you to the staff and to Trish for making our vacation the best we have had in years. This was our second trip this summer and we can't wait until we can come back again. The condo was just beautiful! My husband and I had such a wonderful time at Vacations by the Sea. Our condo was amazing. We had great views and could hear the ocean from the living room! The staff was helpful and friendly. We will definitely be back again. It was a beautiful unit, with a gorgeous view. Very clean, had everything that you could need and more. Jacuzzi bathtub very small, really just a shower stall. Beautifully decorated and furnished with top of the line wares from the bed linens and furniture, right down to the silverware. We couldn't stop watching the surf roll in, and loved using the telescope to watch ships at sea. Hoipe to go back next month! Love this place. Spend at least 3 weekends in the summer at one of the rentals. Each is individual. We had a wonderful time there!! The room was beautiful!! It was very relaxing!! We definitly will be back!!! As comfortable as the Barn Swallows nest we watched, with perfect accessibility to flexible walking and exploration on endless beach. Thank you for ordering such perfect weather for our stay. 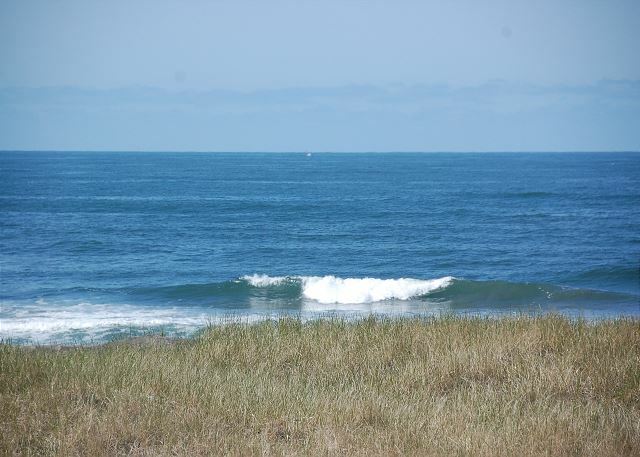 Very clean unit & picturesque surroundings of ocean, beach and property. Next to state park with enjoyable 2.5 mile paved pathway to Westport harbor. Loved the view, the beach was fantastic. We had everything we needed in the kitchen to cook up some fresh seafood from the docks. We'll be back soon! The gardening staff was friendly. The location was great and relaxing. I would come back any time.